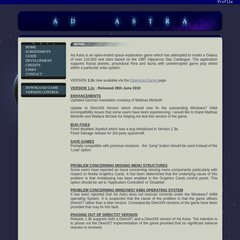 Topics: Screenshots, Guide, Development, Credits, and Download Game. 26 users visit the site each day, each viewing 7.00 pages. Its 2 nameservers are ns0.zen.co.uk, and ns1.zen.co.uk. Its IP Number is 82.71.204.28. PING www. (82.71.204.28) 56(84) bytes of data.